My dear people of West Cameroon, what happened across our towns and villages yesterday 11th February 2017 was historic. 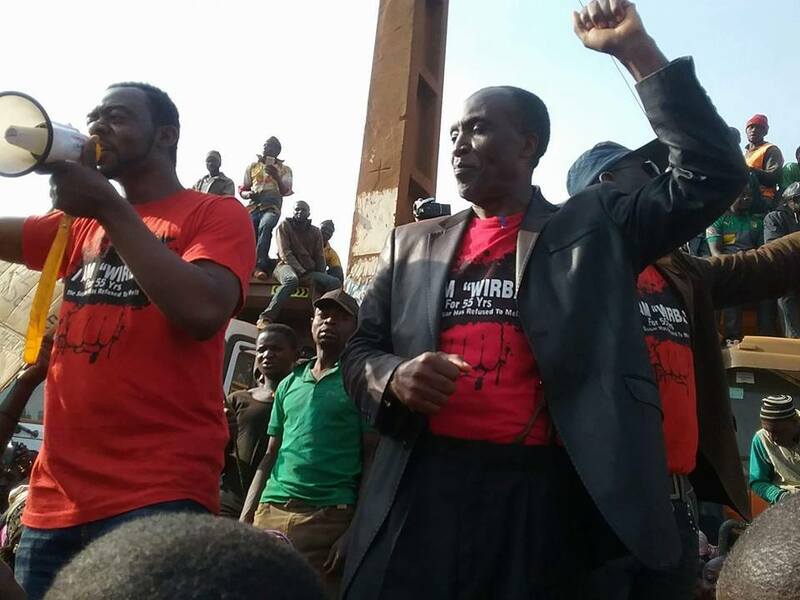 Despite internet blackout and threats made by colonial administrative authorities, intimidating our educational authorities to show up and march, the massive Passive Resistance Campaign and ghost towns was a clear message to Yaounde that the people of West Cameroon are unified more than ever before, and our resistance is growing from strength to strength. I want to thank everyone of us that made the Plebiscite Day Defiance a success. To the leadership of The Cameroon Anglophone Civil Society Consortium, Tassang, Mark and Ivo, you represent the People of West Cameroon and we have your back. Anyone speaking against you is speaking against the millions of disadvantaged and vulnerable people of West Cameroon. To West Cameroonians in the Diaspora, those across Africa, Europe, America, Asia (not exclusively), we can hear you and we are humbled by your relentless support. By using unorthodox schemes to ferry strangers, dress military men and prisoners to pose as students and march in Buea, in spite of their uncoordinated steps and lack of Anglo-Saxon maneuvers, is evidence that our slave masters and their cahoots are desperate and slowly running out of options. Before joining La Republique du Cameroun, Southern Cameroons was an autonomous state with a buoyant economy, a Prime Minister and a functioning democracy – one of the best in Africa. 55 years later, our Anglo-Saxon Educational, Legal, Economic and Socio Cultural Systems (not exclusively) are on the verge of extinction and our people have been reduced to slaves and beggars – in the midst of a vast ocean of material prosperity. With unrestrained brutality, our people are being jailed, killed, kidnapped, tortured, raped and maimed at the orders of colonial Governors, Senior Divisional Officers and Divisional Offices, just for dare asking for a return to Federation. In 1953, Southern Cameroons Representatives under the leadership of Dr E.M.L. Endeley, in whose symbolic shadow we stand today withdrew from the Enugu Assembly at the height of discrimination and withering injustice against our people. That momentous decision ended our long night of captivity in Nigeria and paved the way for an autonomous Southern Cameroons. In the spirit of that marvelous 1953 militancy, I humbly call on the people’s Consortium to set a date for the withdrawal of all West Cameroon representatives (both government and opposition) from the National Assembly. The only reason why we (Members of Parliament) are in the Ngoa-Ekelle Glass House is because of our constituents – the people. It’s time we stop giving legitimacy to a government that is demonizing the patriotic people of West Cameroon as extremist. IN A FEW HOURS, WEST CAMEROON WILL BE ON TRIAL! TO HONOUR AGBOR BALLA & ALL OUR BROTHERS ON TRIAL, MONDAY 13th IS DEDICATED FOR PRAYERS, WHILE TUESDAY 14th FEBRUARY IS GHOST TOWN! THEY STOOD FOR US! LETS STAND FOR THEM UNTIL THEY’RE SET FREE! The time is now for us to give an unmatched impetus to The Consortium and dramatize our shameful condition until North West and South West regions are restored from the present minority-hood to a statehood reminiscent of 1961. Let the Consortium give them a date close the final Declaration of Independence and we demand their joint and unanimous departure from Ngoa-Ekellee. It is either they leave or else we get them out by all means possible. The choice is theirs for the taking. Viva British Southern Cameroons, viva Consortium viva! leadership viva! Time is at hand no matter. My quest here is where is the economy embargo be put in place; no food, timbers, taxes and what will quickly bring the oppressors to the knees? Consortium we are waiting earnestly. God Almighty blessed the Struggle. God will continue to guide you sir and he knows why this is happening at this particular moment. You will remain blessed in Jesus name. When our MPs withdraw that will be one step further to conquest. More greese to your elbows. I’m yet to see another honest MP as Hon Wirba. You have my support any day any time Dr Wirba. May God continue to guide your instincts. Consortium, please set that date as fast as possible.Thanks honourable for your frankness. Let us hope that the cpdm MPs and Senators won’t dissapoint . Amen, Amen!!!!!! The messenger that the God almighty has sent to free its people has spoken, and so shall it be. Thank you Sir, for your service to our people. God bless you, Sir.